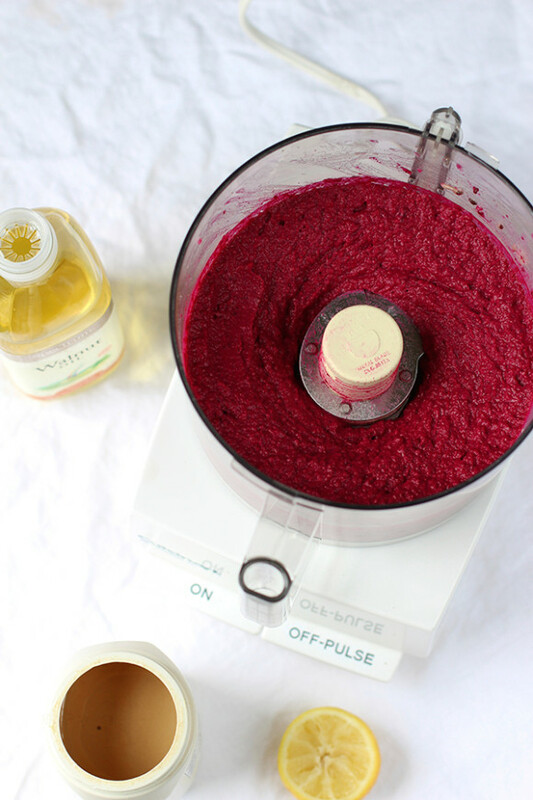 In the bowl of a food processor, blend the black-eyed peas, beets, walnut oil, lemon juice, tahini and 2 tablespoons of the reserved bean cooking liquid until smooth. Taste and season with salt. Serve drizzled with a little additional walnut oil. 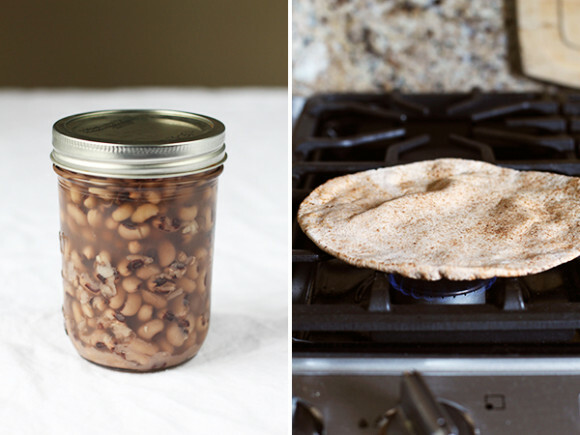 • You can substitute chickpeas in place of the black-eyed peas, but you may need to add additional bean liquid. • You can use extra virgin olive oil in place of the walnut oil. 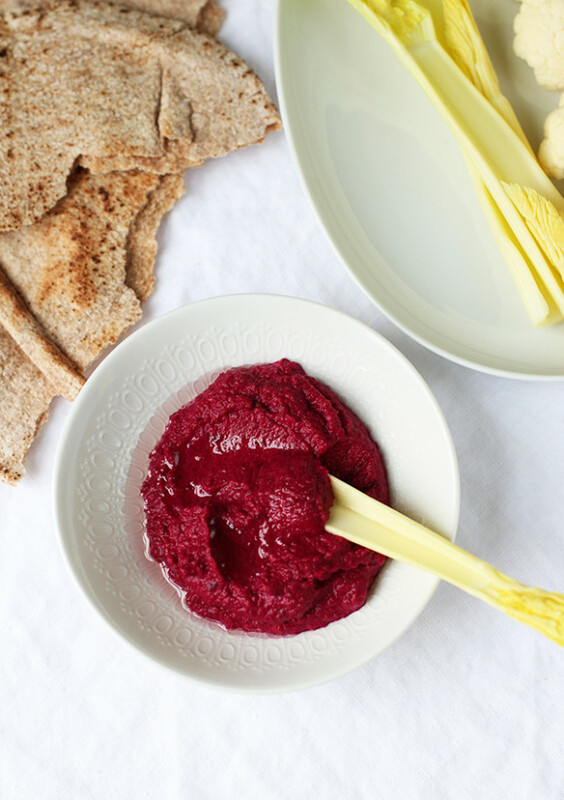 • This recipe has instructions for roasting beets, if you need them. sorry about the extra classes but…it will go by so quickly!! i have been in graduate school for who knows how long but im enjoying the ride. 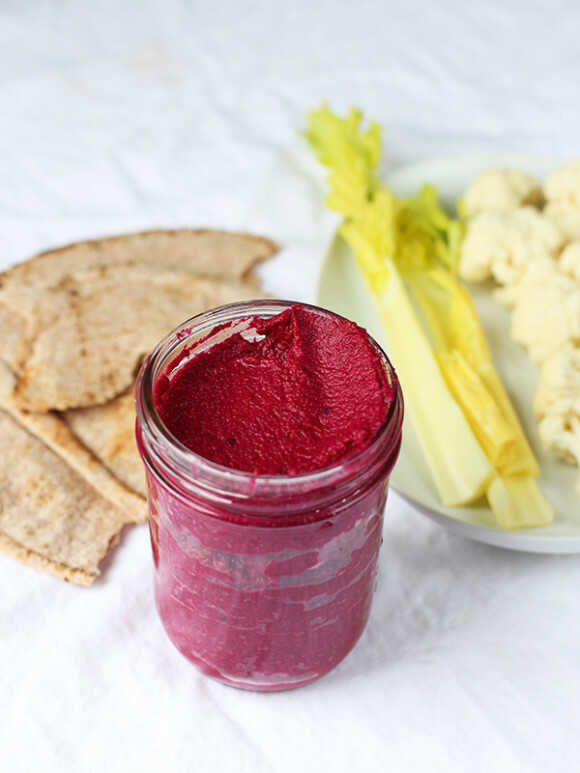 we will all get there eventually 🙂 this hummus looks wonderful, esp with beets. Ugh, this exact same thing happened to me last year when I transferred schools! I’m enjoying the journey along the way so it’s not that bad. I think the worst part is friends and family asking if you’re done with school yet and “why is it taking so long just to become a nutritionist?” Grr. Hang in there and just enjoy the day to day! Sorry to hear about the tough times you are having! I completely understand how you feel – I’ve gone through a similar experience at law school. On a lighter note, this hummus looks super delicious! What a gorgeous dip! 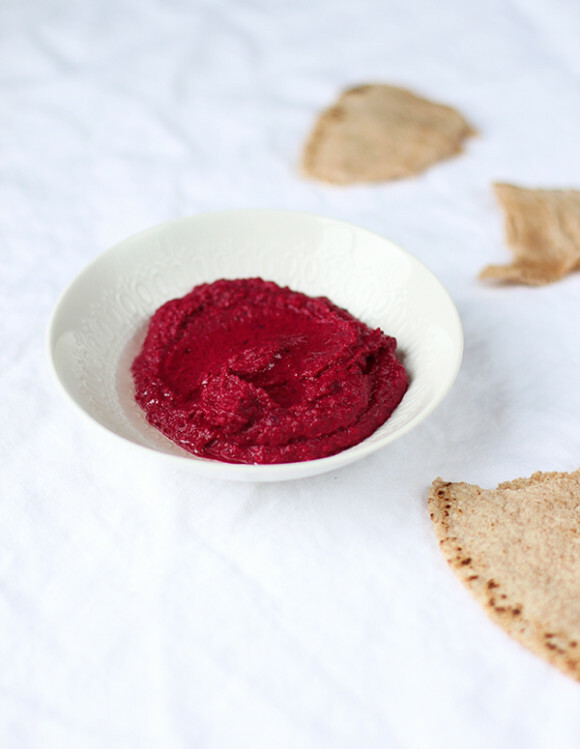 I just tried my first beet hummus at a restaurant last night, and I practically licked the bowl. This recipe couldn’t have come at a better time–fate! Can’t wait to try it. Sorry to hear about the extra classes. I’m at CSUN working on the DPD classes with grad classes and the internship ahead of me, so I understand how it must feel to suddenly have 2 extra semesters. Good luck. It will all be worth it in the end. And your blog is beautiful and amazing. Congrats. Hello Anjali! Firstly I want to say Good luck for your classes and just enjoy this time . Time and tide never stops for anyone it always move with its speed but always changes the external circumstances w.r.t time for human being. So do your work with 100% effort in present,while your best time is waiting for you in the near future. Next you have shared best unique recipe. I am going to try this in the weekend . Thanks for sharing this and Good luck for the classes. Hello Anjali! Firstly good luck for your classes and just enjoy this time. Next you have shared best unique recipe. I am going to try this in this weekend. Thanks for sharing this and again good luck for the classes. I just found your blog! I was wondering – are you vegan? I am from southern cali as well and would love to ask you a few questions! I just recently decided to go vegan but am having a hard time.